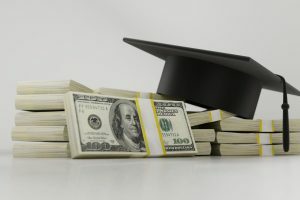 You’ve just gotten accepted into your dream school, but now you need to start thinking about how you are planning on financing your education. It is everyone’s nightmare. You’ve maximized available admissions resources to get into the school and program of your dreams, but you’re not sure how you’ll pay for even one semester. You’re far from alone. Even high earners believe that the cost of college is out of reach. In fact, the Institute for Higher Education Policy says that families with incomes above $100,000 a year don’t believe they can pay for upwards of 6 in 10 U.S. universities. No problem, you say. There are tons of scholarship and work-study opportunities out there. You merely have to know where to look for the ones that work for you. And, to an extent, that’s true. The operative word, though, is tons. For instance, whole books have been written about the FAFSA, an often-confusing online form required to get need-based aid. Even when you think you’ve filled out everything correctly, each school uses the information how they choose. Fortunately, there’s another – saner – way. Alternative Means Education Financing companies, such as NextGenVest, can save you time, money, and aggravation. You leverage technology and the hive mind of your peers, plus company experts, if needed, to find and take advantage of every break you can – before the decision-makers dive into your numbers. Think out of the box, maximize your time to research all financing possibilities out there, and make sure to tap into the expertise that exists to get that life-changing and affordable degree in your hand! Contact Write Track Admissions to out how you can fund your dream degree!